Product prices and availability are accurate as of 2019-04-21 00:28:56 CDT and are subject to change. Any price and availability information displayed on http://www.amazon.com/ at the time of purchase will apply to the purchase of this product. 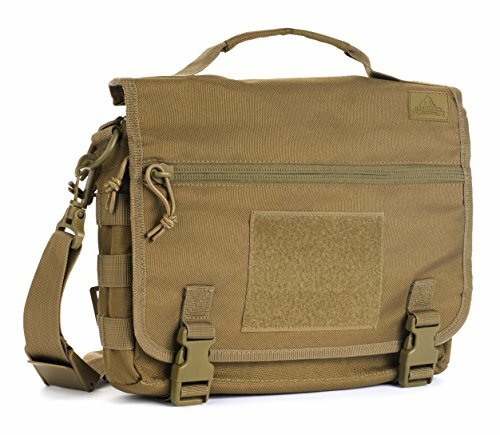 The Red Rock Outdoor Gear Shoulder Mag Bag is a unique bag with numerous usages. The master compartment has elastic loops throughout for storing pistol and rifle mags. A zippered back panel is lined with Velcro for CCW (conceal and carry weapon) storage. 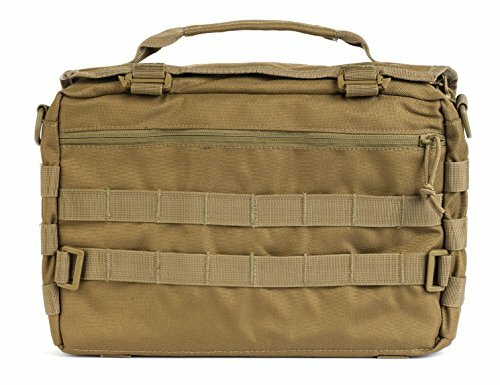 The shape and padded walls of the shoulder bag also lend itself to securing a small laptop or tablet perfectly. The face of the bag also is covered with a removable cover flap. The cover flap has two zippered pockets. 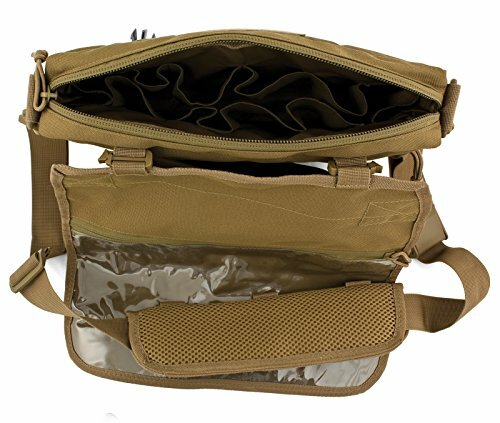 Molle webbing platform and Velcro cover this bag for the addition or name strips and pouches.